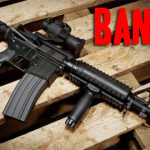 Stop Feinstein’s So-Called “Assault Weapons” Ban! Notice how this moron has her finger on the trigger. 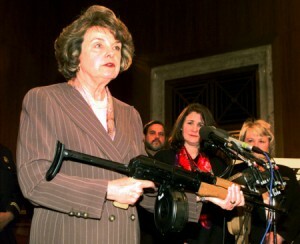 After reading Senator Dianne Feinstein’s new so-called “Assault Weapons” Ban, my jaw dropped to the floor. 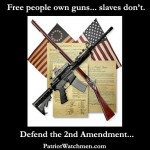 I can only describe it as the effective END of the Second Amendment in America. The definition of an “Assault Weapon” in this bill is so broad you can drive a truck through it! THEY ARE TARGETING EVERYTHING — rifles, shotguns and even handguns. You see, the gun-grabbers are going for broke this time. 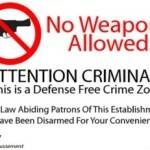 Even owners of supposedly “grandfathered” firearms will be treated like common criminals. 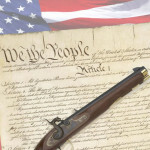 Force owners of ALL “grandfathered” weapons to federally register their guns after obtaining a permission slip from local law enforcement showing their guns are not in violation of state or local law. That’s right. If you own a $10 magazine that’s more than 10 rounds, you’ll have to register it with the BATFE in their National Firearms Registry. 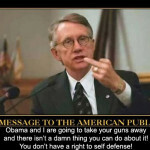 And you and I both know registration is only the first step toward outright confiscation. This isn’t some “pie in the sky” bill listing all the shiny new anti-gun provisions the gun-grabbers were hoping Santa Claus would bring them for Christmas. Vice President Joe Biden — who President Obama has put in charge of ramming new gun control schemes through Congress — has already said he sees no reason why a new so-called “assault weapons ban” can’t pass. This is what you and I are facing. This is what you and I are up against. The stakes could hardly be any higher. And this is going to be one heck of a fight. That’s why I need you to take action RIGHT NOW. 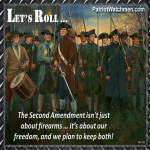 Please click HERE to sign your petition to STOP Feinstein’s Second Amendment Assault! After you have signed your petition, please forward this message to your family and friends to get them involved in the fight to protect our Second Amendment rights.